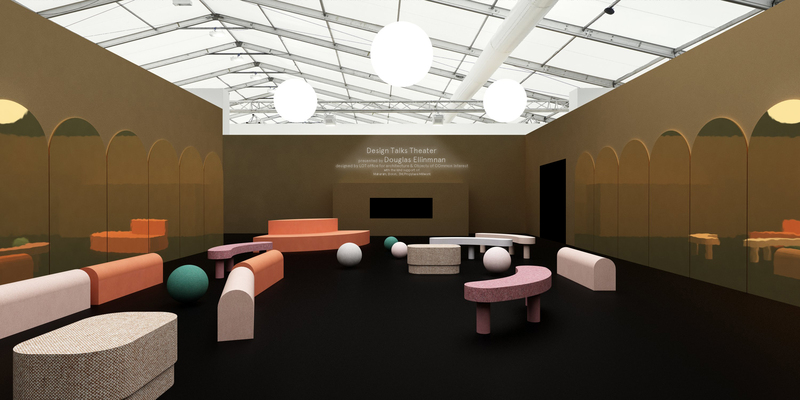 Award winning architectural design firm LOT Office for Architecture has teamed up with their design studio OBJECTS OF COMMON INTEREST in partnership with North American textile giant MAHARAM to present ‘SPECTACLE’ , the 2017 DESIGN TALKS THEATER, which will host the Design Talks program December 6-10th at Design Miami/. 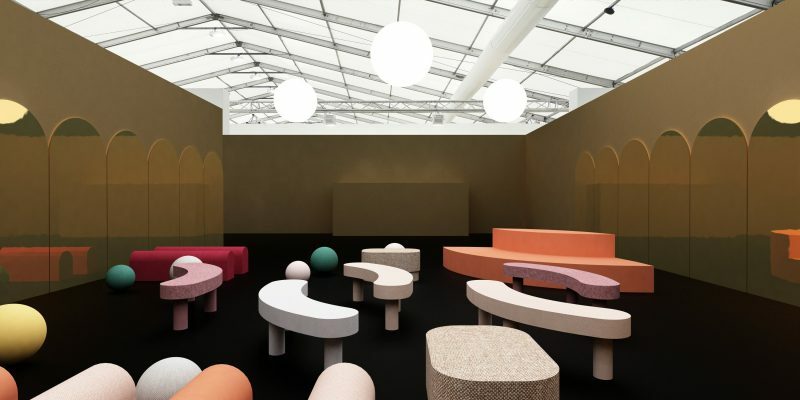 Using idea exchange as the core principal of the space , there will a plethora of of interesting elements like a cylindrical lectern, sliding seats and rolling spheres to entice the active participation of attendees. The salubrious warm atmosphere created by the amber-gold mirrors surrounding the space will reflect both actors and audience members, multiplying and drawing them into engaged listening and lively discussion. Founded in 2012 by Eleni Petaloti and Leonidas Trampoukis, with offices in New York and Greece, this architectural firm and design studio is dedicated to pursuing strong design concepts with pragmatism and consciousness. 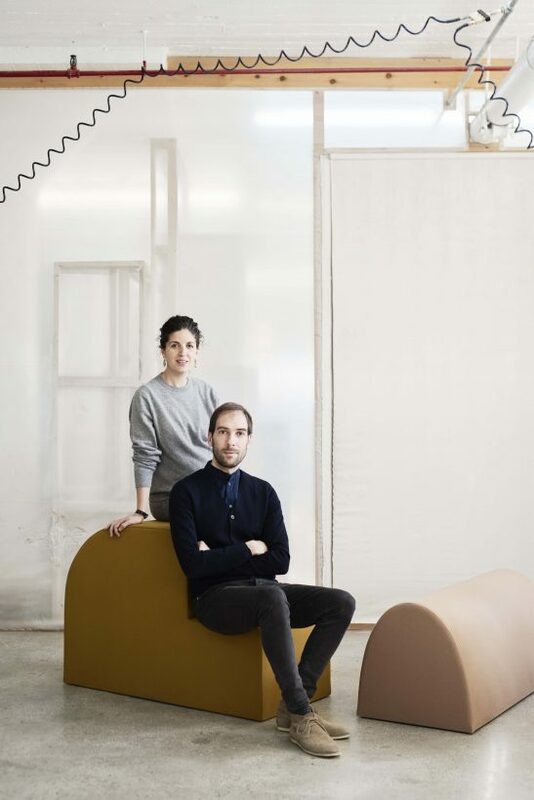 Their work has been featured in press including The Wall Street Journal, Wallpaper* Magazine, Elle Decor, Frame, Surface Magazine and Phaidon publishers and presented in exhibitions, such as the Venice Architecture Biennale, Greek Architecture Biennale, and the Salone del Mobile in Milan. In 2013 LOT was shortlisted for the European Piranesi Awards and in 2014 was selected for the Wallpaper* Architects Directory, the iconic magazine’s list of the best architectural talent from around the globe. In 2016 LOT won the invited competition to install a Skyline, a large monumental public installation at New York’s Flatiron Building Plaza. 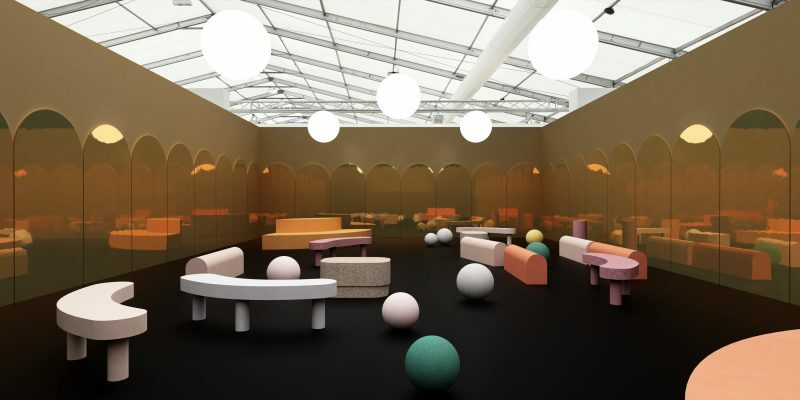 Definitely looking forward to attending the Design Miami/ Talks in this space!